How to Change the Maximum Number of Customer Login Attempts? I want to know how to change the customer maximum login attempts in Magento 2. i know how to do it for the admin but can't figure it out for customers. By default the value is 10 you can change it to 0 to disable the setting. Not the answer you're looking for? Browse other questions tagged magento2 customer login customer-account security or ask your own question. How can i check the customer is confirmed or not before login? How to change Customer Login Title in magento 2? 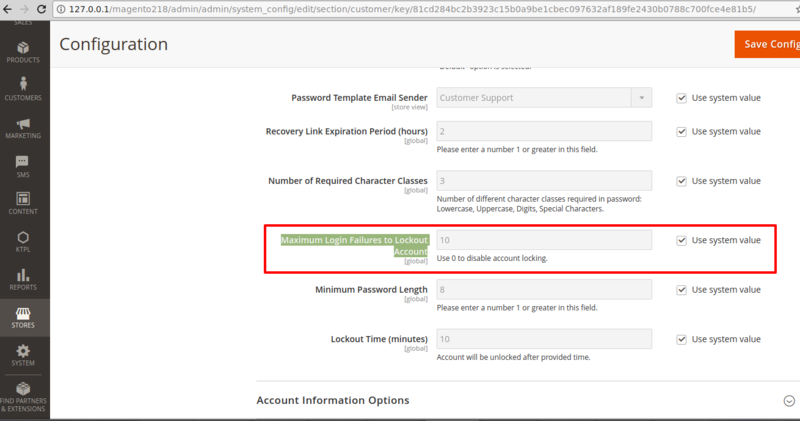 Magento 2, how to allow a customer login only one device at the same time? Magento2: How to login as customer frontend side?